We are an all volunteer rescue formed after several years of personally rescuing dachshunds and hounds. We're dedicated to rescuing dachshunds in Tennessee and surrounding states who have found themselves homeless for one reason or another. 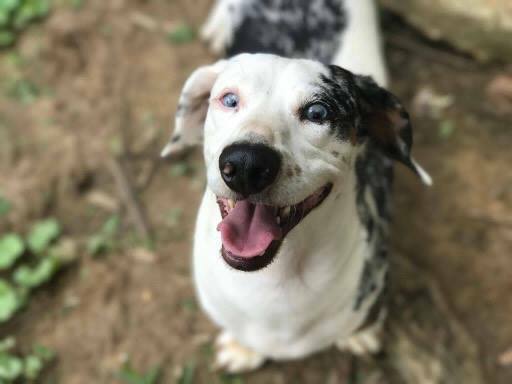 The people at Tennessee Dachshund Rescue work tirelessly to take homeless dachshunds off the street and make them as comfortable and happy as possible until we can find a loving home for them — no matter how long it takes. We believe our rescue can help change the lives of these dogs and the families who adopt them. Happy endings for our rescued dachshunds can only happen with your support. Please allow us to continue our rescue and donate or volunteer today. Leslie was a trustee with Basset Hound Rescue of Georgia (www.bhrg.org) for over five years and volunteered with them for over 10 years. Through her connections there, folks started contacting her about dachshunds because they knew she was a sucker for doxys. So Leslie would personally rescue dachshunds separate from bassets and place them herself. When she moved from Georgia to Tennessee, she decided it was time to take her personal rescues a step further and TDR was formed. Kim joined TDR in 2018. She currently oversees foster homes, fosters several doxys and assists with adoptions, the website and home visits. Also a sucker for the underdog, Kim has a special place in her heart for special needs dogs and rehabilitating tough cases. She has owned several dachshunds through the years and has studied the breed and their quirks. Kim resides in Middle TN. Amanda joined TDR in 2017. She is one of our East TN representatives and is a Jack of all trades for us. She does a lot with paperwork and intake. Amanda and Leslie know each other from their basset rescue days. Amanda has a house of hounds including several TDR dachshunds she has foster failed over the years. Zac is the goofy guy behind the videos and most of the funny commentary. He's also Leslie's husband and puts up with the insane amount of dachshunds that come through their home on the way to their forever homes.